FDAX does not updated on demo account. I reset but still not works. There is no problem with other instruments. CQG/The exchange recently changed the real-time data available with their futures demo feeds. Unfortunately Eurex data (which includes FDAX) is no longer provided in real-time with futures demos. You'll need a data subscription through a supported broker or supplementary data provider to receive real-time EUREX data. If you'd like more information about your options, contact us via email at PlatformSupport[AT]NinjaTrader[DOT]com. Thank you PatrickG! 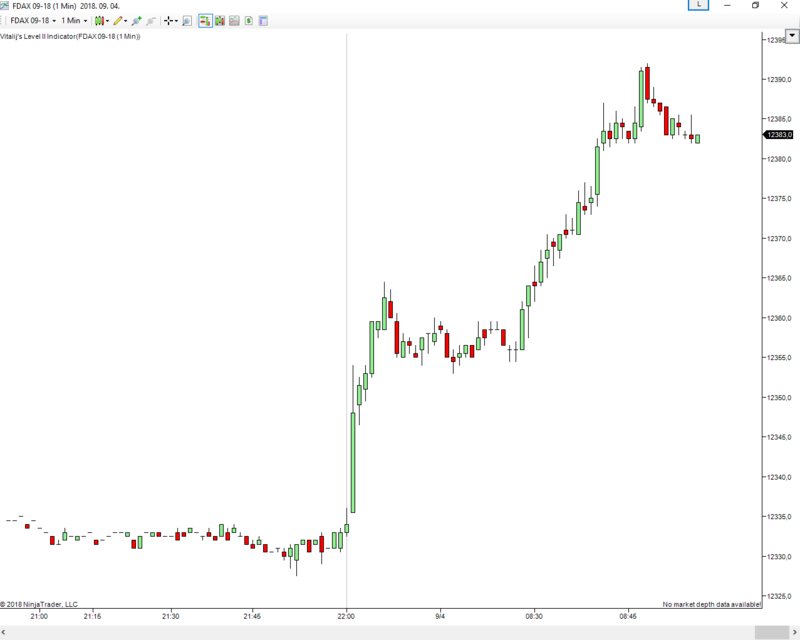 There is no other broker demo account with FDAX real-time data? There is no free Eurex data feed that I am aware of.